Anyone who has undergone knee replacement surgery by Dr. Saurabh Goyal will know his efficiency in the field. Dr. Goyal has been a popular name in the field of Knee and Joint Replacement Surgery in Ahmedabad. His patients know Dr. Goyal for his tolerant and polite nature. They are all praises for the way he performs surgery almost painlessly and how their recovery is swift and thorough. He has graduated in MS in Orthopaedics, MBBS. Dr. Goyal operates from Solitaire Centre for Joint Replacement, Ahmedabad. Services at the clinic include knee replacement, joint replacement and total hip replacement surgeries. Many patients come to the clinic with a fear of surgery. But Dr. Goyal’s convincing nature and professionalism enables them to overcome this fear and undergo the surgery. He has over 23 years of experience in Orthopaedics.Dr. Goyal is an alumnus of RNT Medical College, Udaipur. He was also part of the cream of his batch and was bestowed with a gold medal. He further pursued his Masters in Orthopedics from SMS Medical College, Jaipur. 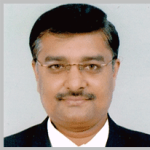 He is a life member of Indian Society of Hip and Knee Surgeons. In his service as an orthopaedic surgeon for more than 18 years, Dr. Goyal has performed 11,000 successful surgeries and has treated patients from all around the globe. For his excellent service in the field of orthopaedic surgery Dr. Goyal was bestowed with Maharana Mewar Foundation Award in 1987. He can be visited at Solitaire Centre for Joint Replacement in Navrangpura, Ahmedabad. ?